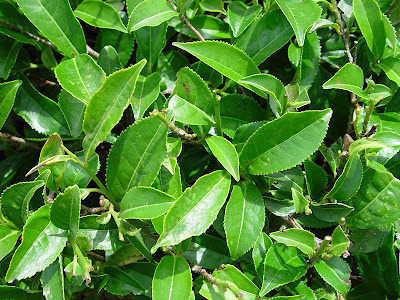 Tea plant, Camellia sinensis, is the species of plants whose leaves and leaf buds are used to produce tea. Camellia sinensis var. sinensis (the small leaf variety) thrives in the cool, high mountain regions of central China and Japan. Camellia sinesnsis var. assamica (the broad leaf variety) grows best in the moist, tropical climates found in Northeast India and the Szechuan and Yunnan provinces of China. Thru different level of oxidation, 4 types of teas could be produced from Camellia sinensis var. Camellia sinensis var. sinensis. They are black tea (also known as red tea), oolong tea (blue-green tea 青茶), green tea, and white tea. On the other hand, Pu-er (普洱) is produced from Camellia sinesnsis var. assamica. 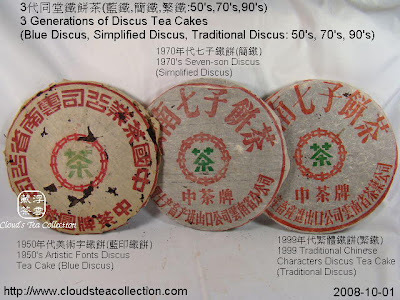 Unlike other teas which should be consumed shortly after production, pu-er can be aged for years. Much like wine vintages, Pu-er teas are now classified by the region and the year of production.